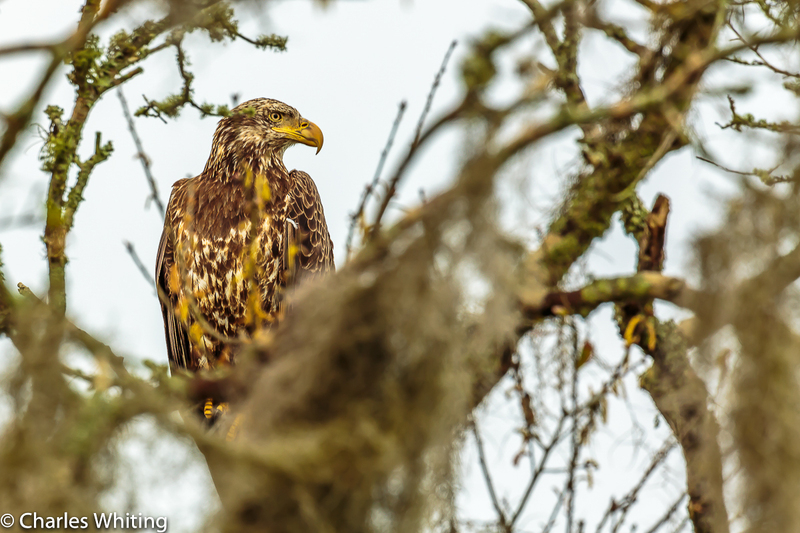 A juvenile Bald Eagle perches in the top of an Oak tree covered with Spanish moss. Myakka River, Sarasota, Florida. Photo © copyright by Charles Whiting.